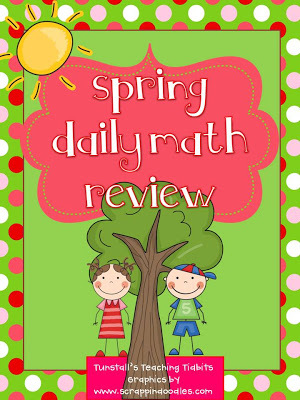 I finally got my Daily Math Review Done for Spring! Click the picture to go to TpT and check it out. class. 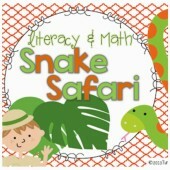 If you check it out on TPT and click the download preview you will get this freebie. There are 20 skill sheets included. 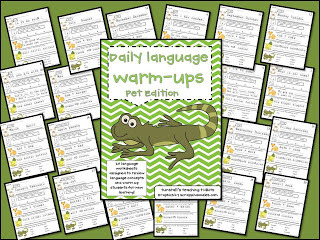 Spring Daily Language Review is my next project to tackle! 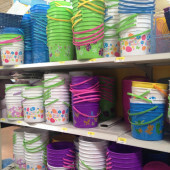 I am off to shop for Spring clothes for the kids! 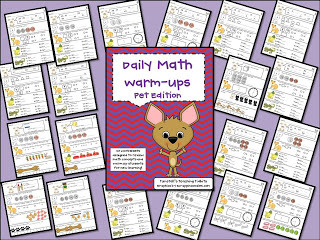 Here’s the other daily math and language packets in my store. 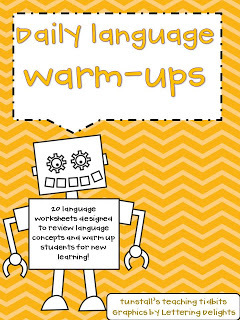 They all vary in skills but are generic enough that you can do them any time! Click each picture to check it out. The warm ups look great and super cute! 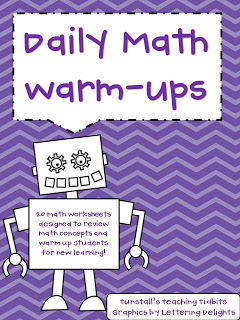 I used some of my tpt credits to get your robot daily math warm ups. 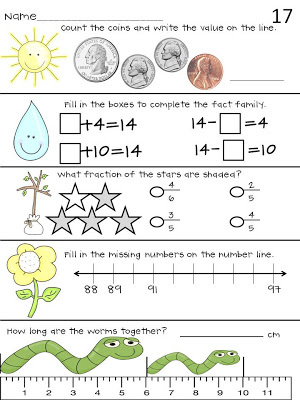 I teach K, and we start with Math each day. It's the perfect amount of work, that it challenges them– but I do not have to be with them to see that they do it right! I love this. I love the graphics you added! I need to buy this because our daily math sheets run out next week! For some reason the program didn't make enough weeks! Ugh! You have saved my life!